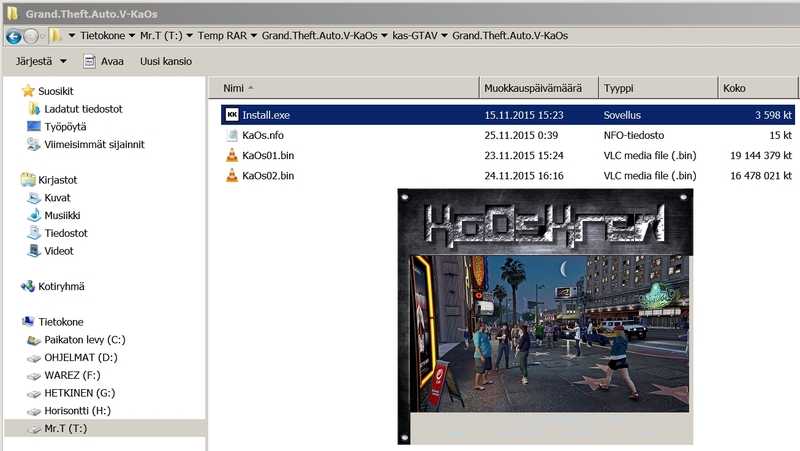 KaOsKrew • View topic - Grand Theft Auto V installer not working properly. 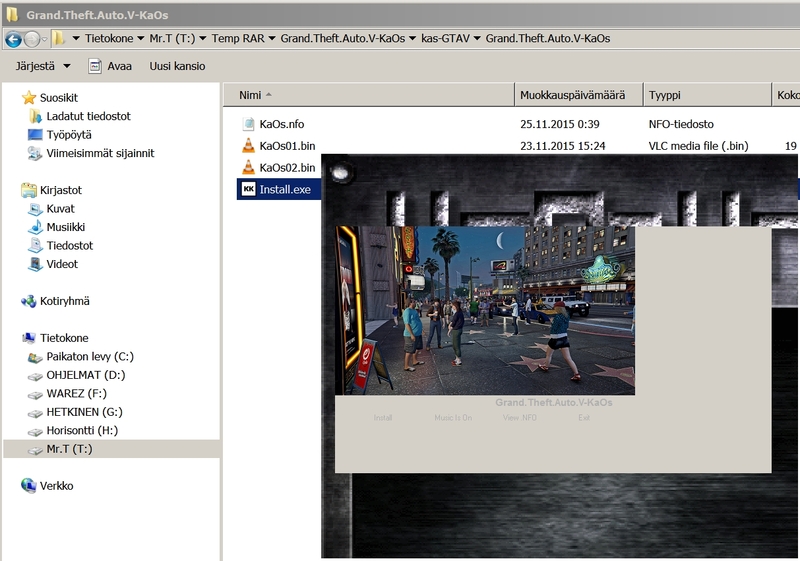 Grand Theft Auto V installer not working properly. Any suggestions? Other than boiling my head. 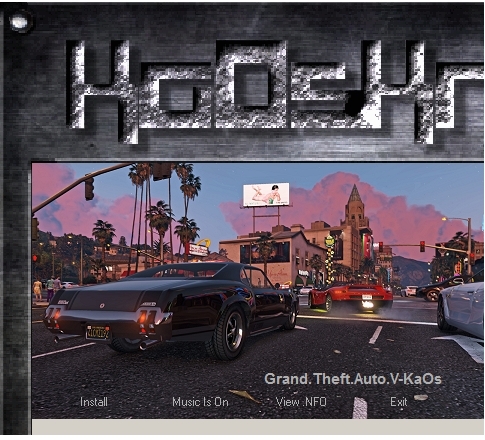 Re: Grand Theft Auto V installer not working properly. do u have any screen shots of this messed up installer? not something I have ever heard of there have been no reports I'm am aware of either, I personally use win7 ultimate x64, the installer has also been tested on win8 and 10. a very strange issue. Last edited by KiNG on 22 Dec 2015, 12:06, edited 1 time in total. Naturally. I have 4.6 installed. Last edited by Humppasusi on 22 Dec 2015, 15:00, edited 1 time in total. ganster wrote: do u have any screen shots of this messed up installer? hmm that is weird are you still able to install while its half broken? Last edited by Humppasusi on 22 Dec 2015, 22:13, edited 1 time in total. No need for that, as it's installing! I can't really monitor the progress, as the grey area is back, but it says it's installing on top of the slideshow... The path selection was nicely visible, as well as the other buttons, on the black background. Thanks! Have a merry Christmas, guys! Well... It never goes smoothly, does it? Now I'm having trouble with a missing batch file! Last edited by Humppasusi on 23 Dec 2015, 11:37, edited 1 time in total. Last edited by ganster on 23 Dec 2015, 12:51, edited 1 time in total. I'm currently running the first batch file. I assume I have to run all of the numbered ones first, with _End.bat being the final clean up. If this doesn't work, then I will be more than happy to try out the new installer. And you will know about it soon... Something went wrong with my manual run. It went well up to the batch number five on its own and then just crashed. I am going to try the new installer now. I'm currently installing with the third version of the installer. I could've tried the second one, but instead I decided to play Fallout 4 instead... (Which, by the way, shouldn't even run on my graphics card, but I have texture problems very rarely, on minimum settings.) The second screen of the installer was OK, but the third one - showing the progress - is sort of "cropped". It only shows Ka and half of the O, with the lower progress bar being cut a bit from the bottom. Last edited by Humppasusi on 23 Dec 2015, 19:40, edited 1 time in total. if u dont mind testing can you see if this is fixed on your system the layout part is what im interested in and did you manage to get it installed? Last edited by ganster on 23 Dec 2015, 23:50, edited 2 times in total. I got the game installed properly with the third installer. Runs very smoothly on my rather old rig @ 1280x720. The latest installer looks very good, no graphical glitches on the first screen at least. I guess you could call that as a finished product now. Happy Xmas and thank you very, very much! yeah it only uses 2gig of ram it appears to use 4 in total as your os is using 2 as well. glad its sorted for you and thanx for assisting us in fixing the bugs, mery Xmas!! Last edited by KiNG on 24 Dec 2015, 09:29, edited 1 time in total.